In this harrowing journey Bilbo and his Company of Dwarves came upon a troll lair. There they found two Elven swords, Glamdring, and Orcrist, and a knife. Bilbo claimed the knife for himself, and it was more of a sword to someone of his stature. He wielded the sword through most of the quest, famously using it against the Giant Spiders of Mirkwood to save the Company of Dwarves. After Bilbo had slain his first spider he declared that he would name the blade, and from then on, it was christened Sting. This authentically detailed replica is a reproduction of the actual filming prop, has been painstakingly and meticulously recreated using only the finest grade materials and top quality craftsmanship to ensure that this movie replica looks like it has come to you directly from the silver screen. 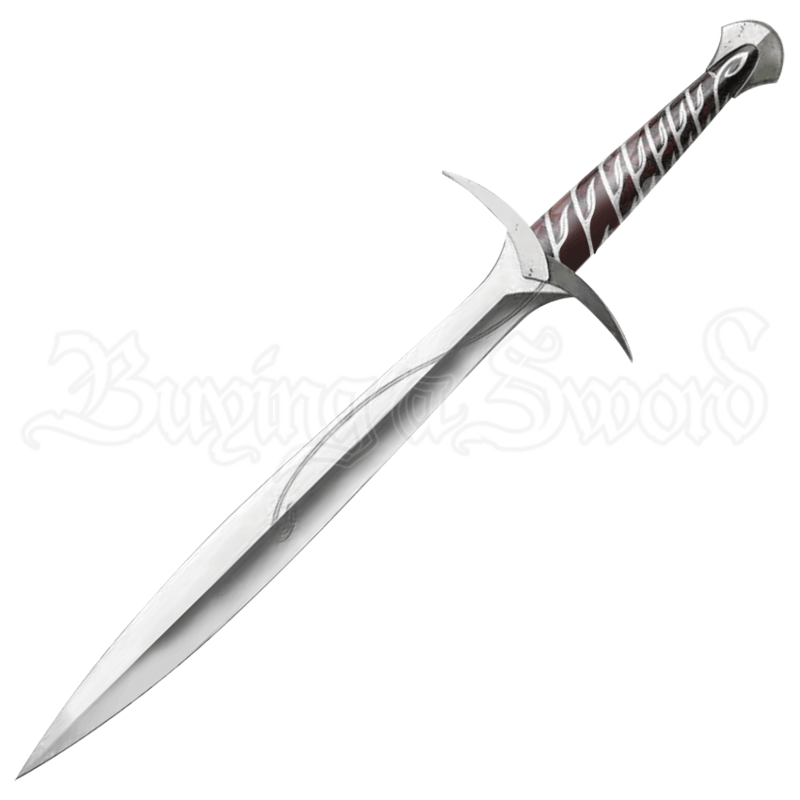 The Sting sword measures 22.5 inches overall, featuring a stainless steel blade and, solid metal hilt parts, and an intricately detailed vine adorning the grip. It is presented with a wood wall display featuring graphic motifs from The Hobbit An Unexpected Journey, and includes a certificate of authenticity.